As a Messianic Gentile I am not trying to be Jewish by having a beard but for me it is another connecting point where God’s Torah can govern and elevate such a seemingly mundane area of life, raising it as service unto the King. Here, Jewish men are commanded not to mar “the edges” of their beards. The word “edges” translates the Hebrew word pe’ah (פאה), i.e., “corners.” What is the corner of one’s beard? Rashi explains that a man’s beard has five corners: the upper and lower cheek on either side, plus the spot where the two sides meet on one’s chin. Practically, the Torah prohibits Jewish men from shaving the hair from these areas with a blade, but scissors, clippers, and some electric razors are permitted. You can read more about the technicalities of this here. Pe’ah is also used in Leviticus 19:9-10 to describe the corners of the field. The sages considered the size of the corner (pe’ah) as a precept “with no prescribed measurement,” hence some Jewish men keep their beards full and untrimmed. Why would God command the children of Israel to not mar the edges of their beards? Commentators have suggested different explanations. The Bible itself associates the marring of the edges of the beard with a custom during mourning over the dead. The Master had his beard plucked out by the Romans as they tortured him before death: “I gave my back to those who strike, and my cheeks to those who pull out the beard” (Isaiah 50:6). There has even been a recent study that came out suggesting that there are health benefits to growing a beard. The reason underlying this mitzvah is similar to the one for not shaving off the hair that grows on the ‘payes’—that Jews should have a distinctive manner that keeps them separate and unique. Historically, it is the reason why Jewish men have traditionally worn beards. Like the tzitzit and tefillin, many traditional Jews consider the beard to be a marker of Jewish identity incumbent upon them. As we pointed out above this mitzvah can be carried out in a variety of ways. While some choose to have long flowing beards, others keep them trimmed and neat. There is also the ruling that certain electric shavers, after they have been modified, can be used. As a result of that leniency, many observant Jewish men do not have beards at all anymore. Up until at least the fourth century, beards were common within Christian circles. (That is to say, common for Christian men. Far less common for Christian women.) Today, as a few of us in the church are seeking out the ancient ways of the faith, beards seem to be growing back, or, perhaps it is just the modern hipster influence. 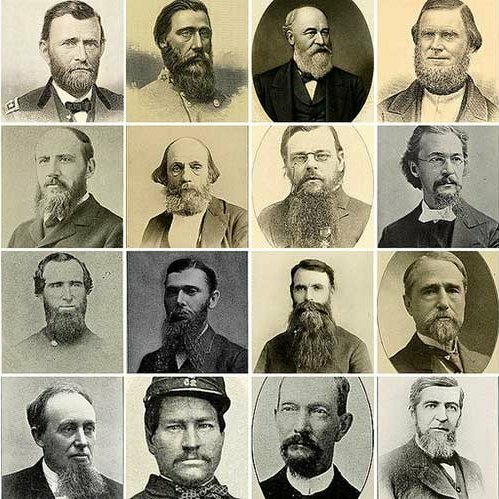 Who wouldn’t be inspired after reading articles like “The Biblical Case for Awesome Beards”? Gentile disciples need to understand that Leviticus 19:27 belongs to the category of identity markers specifically incumbent upon the Jewish people, but at the same time, there is no reason they cannot grow their own as they seek to apply more of God’s Torah directly to their lives. (Actually, there might be some reasons a Gentile disciple cannot grow a beard—such as being a woman or a member of any ethnicity that does not naturally grow facial hair.) There is a rich historical tradition from the early years of the church when Gentile believers observed the prohibition on shaving off the beard. Ultimately, it’s a personal choice. It’s not a sin to shave. I tried using a kosher electric shaver for a while, but I felt that I didn’t look as intelligent without the beard (cue a Planet of the Apes reference). Or, truth be told, I am too lazy to shave every day. Whatever the case might be, I have chosen to observe the mitzvah of growing out my beard. As a Messianic Gentile I am not trying to be Jewish by having a beard, but for me personally it makes another connecting point where God’s Torah can govern and elevate such a seemingly mundane area of life, raising it to the level of a service to the King. A similar commandment is given to the priests in Leviticus 21:5. For example Deuteronomy 14:1; Isaiah 15:1, 22:12; Jeremiah 16:6; Amos 8:10. Jack Abramowitz, The Taryag Companion: 613 (Bloomington, IN: Xlibris Corporation, 2012), 280.